gloves, a wad of cash and an empty notebook. He returned with a critically acclaimed book. Now he makes ends meet by teaching boxing. Janice Fine contributes to a forum on "After Trump." She argues that many people care about inequality, but not all like unions. Some think unions are too conflictual, but Fine argues this is necessary to win the kinds of demands we need to win. Red arrows show how much Donald J. Trump surpassed Mitt Romney in counties across the United States. The New Jersey governor's shocking endorsement of the Republican frontrunner is better understood in the context of the soap opera that is the Kushner family affairs. Updated Nov. 11, 2016 10:54 a.m. The governor pushed for sweeping action in 2011 to close a funding gap and ease the burden on taxpayers. Then lawmakers blocked his most ambitious ideas. You wouldn’t know it by the scant media coverage, but construction of the state’s bullet train is in full swing around Fresno and the Central Valley. The California High-Speed Rail Authority will likely next build out the northern stretch—to Silicon Valley and San Francisco—but its narrowing in on how to get to Los Angeles and what that route will look like. The board recently announced a redesign to the future stations, including the stop that will be built at our very own Union Station. Trains will be shorter than anticipated and platforms will be proportionately reduced, from 1,410 feet to 800 feet. The shorter trains—which will consist of about 10 train cars hitched together, instead of the previously proposed 20—will also mean shorter “refuge” tracks that are required for emergencies. With the refuge tracks will be cut by 600 feet, meaning the stations will be about 1,200 feet shorter than before. The design change has both pluses and negatives. Financially, smaller stations mean cheaper stations and less real estate purchasing. A negative could be packed platforms should the train exceed ridership expectations when it opens in the next decade. How this will affect Union Station is still unclear. While Metro has released plenty of information on their ambitious plans to redesign the rail hub and its surrounding parcels with a mix of developments, retail, and pedestrian-friendly amenities, the agency’s been coy about the bullet train stop. Metro is likely waiting for more guidance from the CHSRA, but a video on the Union Station Master Plan shows the platform going in on the east end of the station, close to Metro’s headquarters. While the station area remains in limbo, preliminary CHSRA plans envision bullet trains entering L.A. via surface tracks, possibly the same tracks that the Metrolink commuter rail system uses; earlier plans had trains arriving on a raised viaduct. The trains will also likely cut right by Taylor Yard in Cypress Park, the site of long-awaited green space. A 2008 video shows trains traveling in a trench with the park above. The Taylor Yard complications and the issue of how to enter Union Station are minor compared to getting the trains through the San Gabriel Mountains, where 24 miles of tunnels may need to be dug. Sounds like an impossible feat, but remember how we built a trans-continental railroad and a freeway system stretching through 50 states? This is nothing. 40 Years Ago, This Chilean Exile Warned Us About the Shock Doctrine. By REUTERS September 23, 2016, 3:57 P.M. E.D.T. By Matt Stevens September 4, 2016 9:20 P.M.
By REUTERS SEPT. 15, 2016, 9:24 P.M. E.D.T. By REUTERS SEPT. 14, 2016, 1:09 A.M. E.D.T. a New York billionaire’s ideas can revitalize a struggling Rust Belt town. Aug. 23, 2016, 7:32 p.m.
ST. LOUIS (AP) - A former longtime head of St. Louis’ Teamsters union during the 1980s has died. Robert “Bobby” Sansone’s family tells the St. Louis Post-Dispatch (http://bit.ly/2bHfO66 ) that Sansone died Friday of respiratory failure. He was 78. Sansone served for a dozen years as president of the Teamsters’ Joint Council 13, which represented St. Louis’ 35,000 members. He retired in 1998. Sansone got a Teamsters union card at 16 to drive a dump truck at a St. Louis concrete plant. Sansone lost a bid in 1991 for vice president of the 1.4-million-member International Brotherhood of Teamsters. Two years later, Sansone was banned from the organization for failing to look into an aide’s alleged mob ties. Sansone’s funeral Mass will be at 11 a.m. Wednesday at St. Anselm Catholic Parish in Creve Coeur. than white families with similar or even lower incomes. Mr. Trump’s decision to make Stephen K. Bannon, chairman of the Breitbart News website, his campaign’s chief executive was a defiant rejection of efforts by longtime Republican hands to wean him from the bombast and racially charged speech that helped propel him to the nomination but that now threaten his candidacy by alienating the moderate voters who typically decide the presidency. Mr. Bannon’s most recent crusade was his failed attempt to oust the House speaker, Paul D. Ryan, in this month’s primary, making his new role atop the Trump campaign particularly provocative toward Republican leaders in Washington. Party veterans responded on Wednesday with a mix of anger about the damage they saw Mr. Trump doing to their party’s reputation and with gallows humor about his apparent inability, or unwillingness, to run a credible presidential campaign in a year that once appeared promising. Many assumed the U.S. would withstand the import threat as it had with Japan, Mexico; devastation in Hickory, N.C.
By THE ASSOCIATED PRESS JULY 26, 2016, 10:12 A.M. E.D.T. James B. Comey, the F.B.I. director, explained his decision Tuesday not to recommend charges against Hillary Clinton. WASHINGTON — Shortly after Hillary Clinton was interviewed on Saturday by agents at the F.B.I.’s headquarters, its director, James B. Comey, heard from his deputies that Mrs. Clinton had been truthful and forthcoming in the three-and-a-half-hour meeting. Mr. Comey, who had been regularly briefed on the progress of the yearlong investigation into Mrs. Clinton’s email account as secretary of state, had known for some time that his agents had not uncovered enough evidence to charge her or anyone else with a crime. Now, with the interview done, he told his deputies, according to F.B.I. officials, that he wanted to move forward with a plan he had been working on for months to explain the findings from such a politically contentious investigation to the public. And he did not wait to do it. At 11 a.m. on Tuesday, Mr. Comey walked into a conference room on the first floor of the F.B.I.’s headquarters, where he stood behind a lectern for 15 minutes and laid out in clinical detail how Mrs. Clinton’s use of the account was “extremely careless.” But, he said, the bureau would recommend to the Justice Department that she not be charged with a crime because his investigators had found no clear evidence that Mrs. Clinton had intentionally broken the law. The careful approach to publicly explaining his thinking fit a pattern for Mr. Comey, who, throughout his three decades as a law enforcement official, has refused to shy away from politically fraught issues. 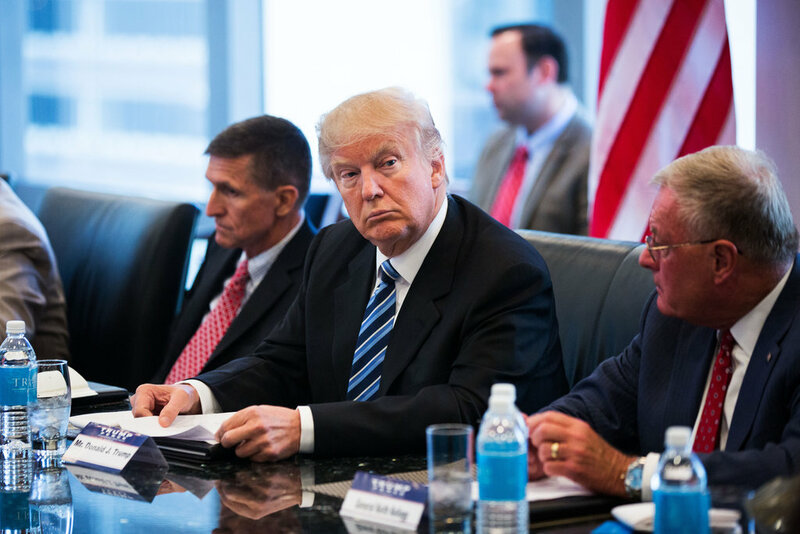 While he was immediately praised by some for his candor and transparency, it did not insulate him from criticism from both Republicans and Democrats, as well as some legal experts. Republicans contended that Mr. Comey had rushed the decision to clear Mrs. Clinton before the bureau had time to digest what she had said in the interview, and that his decision came suspiciously close to Attorney General Loretta Lynch’s impromptu meeting with former President Bill Clinton only a week before. They said Mr. Comey’s own description of the F.B.I.’s findings on Tuesday was enough evidence to file criminal charges. “This defies logic,” said Representative Robert W. Goodlatte, the Virginia Republican who leads the House Judiciary Committee. Mr. Goodlatte said he had spoken with Mr. Comey immediately after his announcement to express his concerns. Later Tuesday, Mr. Goodlatte sent Mr. Comey a letter demanding answers to eight pointed questions about the handling of the investigation and the implication for future inquiries. Robert Cattanach, a former Justice Department lawyer who now works in private practice in Chicago on cybersecurity and other issues, said it was puzzling for Mr. Comey not to seek criminal charges after laying out significant evidence of serious security breaches. “This decision will not enhance the credibility of the F.B.I. or the director,” he said, given the amount of evidence the agency uncovered about mishandled, classified information. Mrs. Clinton’s supporters and other Democrats contended that Mr. Comey had talked too much, saying it was not fair for him to have laid out the details in a case in which she will not be charged. “What Director Comey did today was appalling,” Mr. Miller said. He added that the F.B.I. should be laying out its investigative findings in court when prosecutors actually bring a case, not at a televised news conference where charges are not being sought. But Thomas DiBiagio, a Washington lawyer who worked closely with Mr. Comey when both were federal prosecutors at the Justice Department in the Bush administration, said the unusual public nature of the announcement showed Mr. Comey’s willingness to “take the hit” on a controversial decision. Mr. Comey’s announcement also served to take the spotlight off Ms. Lynch, who was widely criticized after she met Mr. Clinton on her plane in Arizona last week and after she said on Friday that she would defer to the F.B.I. and to prosecutors about whether to bring charges. As deputy attorney general in the George W. Bush administration, Mr. Comey was at the center of a dramatic dispute with administration officials in 2004, when he refused to reauthorize a secret National Security Agency wiretapping program put into place after the Sept. 11, 2001, terror attacks. Mr. Comey believed parts of the warrantless wiretapping program might have been illegal. That led to a showdown in a Washington hospital room, where Attorney General John Ashcroft was ill. Two of Mr. Bush’s top aides, Andrew H. Card Jr. and Alberto R. Gonzales, were trying to pressure Mr. Ashcroft to sign the order. Mr. Comey met with Mr. Bush the next day about the episode, and he and more than a dozen other officials threatened to resign over what they saw as a usurpation of power by White House officials. Mr. Comey’s testimony about the episode before a Senate committee three years later was the stuff of a Hollywood film, as he described racing to the hospital in an F.B.I. car with sirens blaring to try to get to the attorney general’s room before Mr. Card and Mr. Gonzales. President Obama appointed Mr. Comey in 2013 to head the F.B.I., but Mr. Comey has not shied away from clashing with the administration. Last October, Mr. Comey gave a speech in which he said that additional scrutiny and criticism of police officers after several highly publicized episodes of police brutality might have led to an increase in violent crime in some cities because officers had become less aggressive. “I’ve been told by a senior police leader who urged his force to remember that their political leadership has no tolerance for a viral video,” Mr. Comey said in his speech, adding that many leaders and police officers to whom he had spoken said they were afraid to address the issue publicly. The speech angered senior White House officials, who contended that Mr. Comey had no evidence to back up his claims and that he was undermining their efforts to overhaul the criminal justice system. Just days after the speech, Mr. Comey met with Mr. Obama in the Oval Office to discuss their views, but he has continued to voice his opinion on the topic — even as White House officials have maintained there is little evidence to support his views. The primary delivered good news for California Republicans. But will it last until November? There Are More White Voters Than People Think, That's Good News for Trump. KRAFT HEINZ FULLERTON Plant WILL REMAIN OPEN!!! Today's Press Conference included Secretary-Treasurer Patrick D. Kelly, President Donna Metcalfe, Business Representative Norma Lopez and Local 952 KRAFT Shop Stewards. Keep an eye on Channel 4 News, Telemundo and listen for Patrick Kelly on KNX 1070. On Sunday, September 11, 2016 members from Kraft-Heinz plant in Fullerton overwhelmingly voted to ratify their new three (3) year Agreement which included minor concessions and significant improvements to the H&W with no employee contribution for the first year and minor employee contribution rate for each of the following years. The Agreement also includes yearly wage increases of thirty-five (0.35) cents on Jan. 1st of each year of the contract. Additionally, workers secured a pay-out of the Productivity Bonus of three thousand ($3,000) dollars which will be paid out thirty days after ratification as well as a severance package security going forward. Teamsters Local 952 would like to thank the following members of our negotiating team who spent 4 days at the table: Brother Victor Acosta, Sister Rosa Encizo, Brother Daniel Gonzalez, Brother George Gomez, Sister Araceli Martinez, Sister Graciela Martinez, Sister Carmelita Placentia, Sister Sofia Ramos-Hernandez and Brother Jorge Rios. They put their personal life aside to attend negotiations to insure we had the best deal possible. Last but not least, we would like to thank our Stewards and all the Members of Teamsters Local 952 that work at Kraft-Heinz plant. It is these men and women who did the heaviest lift. Since the date of the closer was announced in the fall of 2015; they continued to work and exceed the production and surpassed the Company’s established goals. It is their hard work and dedication that convinced Kraft-Heinz to reconsider keeping the plant open and staying in Fullerton. ON RATIFYING THEIR FIRST TEAMSTER CONTRACT! Robert Marciel was appointed International Brotherhood of Teamsters National Dairy Director by Jackie Presser in the 1980's. He left employment with the Teamsters Local 63 in 1991 and served as a consultant for teamster locals and dairy employers. Marciel was instrumental in amalgamating smaller locals into 63. Although he represented employers, he never forgot where he came from. is fighting it out for Congress in South Florida. Tim is a Congressional candidate against former DNC Chair Debbie Wasserman-Schultz and is South Florida's Progressive Voice. "CHANGES TO THE IBT CONSTITUTION - INCREASING STRIKE BENEFITS"
Three Teamsters organizers were passing out union flyers in a small town in Georgia. Then the cops showed up. We say goodbye to long time Teamster Brother Frank Lemos. Brother Lemos was a driver for Lucky Stores for over 30 years and a Local 952 Shop Steward. Frank P. Lemos, age 71, of Spokane Valley Washington went to be with our Lord on June 20, 2016 at 12:57 am, after losing his battle with Cancer. Frank was Born June 17, 1944 in Los Angeles California to Pasqual “Coco” Lemos and Ann Weber Lemos. He served as a U.S. Marine from 1962 to 1967 and proudly served in Vietnam. Frank married Sharon K Kirton in 1963 and together they had three children, Sheri Lynette, Shawn Lloydell and Frankie Leonard. For 27 years, Frank was a truck driver for Lucky Stores and also served as a Chief Shop Steward for the Teamsters Local 952. Frank joined Elks Lodge #2142, located in the city of Norwalk California and also spent a lot of his time at the Elks Orange Lodge #1475 in the city of Orange. He enjoyed many years serving as an Elk. Frank met his current wife, Carol Sue Mcnaul Lemos in 1994. In January of 2013 Frank and Carol Sue retired in Spokane Washington to be near her two sons John Eric and Christopher Jackson along with their families. Frank was a very loving family man. He leaves behind his wife Carol Sue, Sister Juanita (Lemos) Mahorney, 3 children, Sheri Bartlett, Shawn Barrett, Frankie Lemos and two stepsons, John Eric Jackson and Christopher Jackson. Frank took great pride in being a grandfather to his grandchildren: David, Josh, Joey, Jake, Jonathon, Christopher, Kristin, Kaitlyn, Frankie, Dakota, Sarah, Karlee, Carissa and Carolyn. Also to his 7 Great-grandchildren who will miss him dearly. Michelle Grayson Anderson, Jordan Brandman, Anaheim City Council and Business Representative Norma Lopez. already struggling to fight poverty. CAN WASSERMAN SCHULTZ'S OPPONENT PULL AN UPSET? Bernie Sanders Makes a Campaign Mark. Now, Can He Make a Legacy? A strike at Kroger may be avoided after new negotiations between the grocer and union members. Kroger and the United Food and Commercial Workers Local 400 union confirmed Wednesday morning that they reached a tentative agreement on a new employee contract. The agreement covers 5,100 Kroger associates working in 41 stores across Virginia, east Tennessee and West Virginia. Last week, more than 1,100 union members met at the Salem Civic Center and voted overwhelmingly to reject Kroger's last contract proposal and authorize a strike if the grocer did not meet their requests for higher pay and health insurance. The union represents about 3,000 employees, both part-time and full-time, in non-salaried positions. At that meeting, Kroger employees said they took issue with the company's offer because it included only a small pay increase and no paid sick days for store associates, and it would not provide health insurance to retirees after the end of the year. Bristol Kroger associate Todd Dolehanty, one of the 13 representatives on the union’s bargaining team, called Kroger's proposal a slap in the face. After the vote to authorize a strike, Kroger officials made plans to meet with the union again on Monday and Tuesday, when they came to an agreement. Specific details of the new contract proposal were not released. However, a news release from Kroger said it "provides significant investment by Kroger in higher pay, affordable health care and pension support for associates." "It's not everything we wanted, but it is an improvement," Dolehanty said. Dawn Greenway, a clerk at a Roanoke County Kroger store who is also on the bargaining team, said in a news release from the union that Kroger's new proposal is "by far the best one." "It included improvements in all the areas we were concerned about," she said. The bargaining team will now bring the offer to the entire membership for a vote. That meeting will be held on June 8 at the Berglund Center in Roanoke. Kroger, the nation's largest grocery chain and the leading grocer in southwest Virginia, has been in contract negotiations with union members for months. Employees operated under a three-year contract until April and then worked under an extended contract until May 8. On that day, Kroger offered a contract proposal that was unanimously rejected by the union's bargaining team before it was brought to the membership last week. Employees are still operating on an extended contract until June 4. Senator Bernie Sanders of Vermont prevailed over Hillary Clinton on Tuesday in the Oregon primary, according to The Associated Press, while Mrs. Clinton claimed victory in a tight race in Kentucky, the day’s other contest. With a lead in delegates that is almost impossible for Mr. Sanders to overcome, Mrs. Clinton is moving closer each week to claiming the Democratic nomination. But her march has been encumbered by Mr. Sanders’s success in recent contests, including victories in Indiana’s primary on May 3 and West Virginia’s last week. His continued strength has put a spotlight on a lack of unity in the Democratic Party. With Mr. Sanders pressing on with his campaign and Mr. Trump now the presumptive Republican nominee, Mrs. Clinton has been campaigning against two opponents at once. 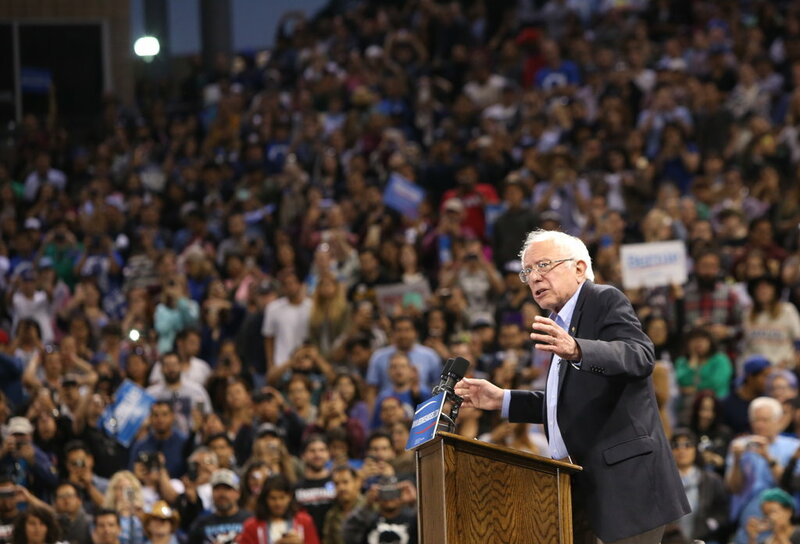 How deep is Bernie Sanders' progressive movement? Has Donald Trump stolen Paul Ryan’s party out from under him? Will Trump Democrats play a role in the 2016 presidential race? 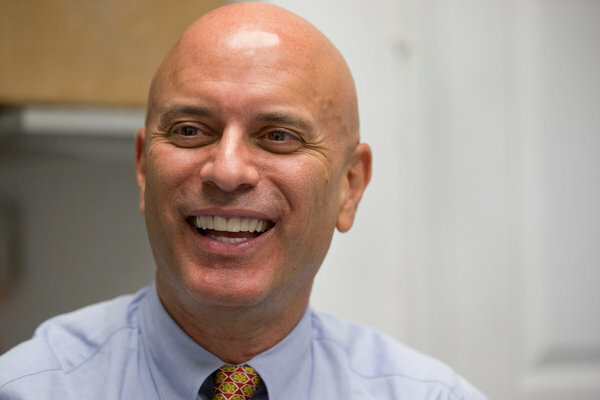 Tim Canova raised more than half a million dollars in the first three months of the year. Tulsi Gabbard gave Bernie Sanders an endorsement. He gave her a platform on war and peace. Donald J. Trump claimed victories on Super Tuesday in seven states, from Vermont to Arkansas, and his strongest support came from places like Fall River, Mass., and Buchanan County, Va. They have little in common but economic hardship, a sense of longing for the better times they once had and an unshakable belief that a President Trump might be the answer to their troubles. Here is a closer look at a few of the places where Mr. Trump won big. Here are the states he needs to win. Bernie Sanders at a Crossroads: Attack Hillary Clinton or Stay Positive? Today (January 11, 2016), the Supreme Court heard oral arguments in Friedrichs v. California Teachers Association, a case that has the potential to destroy public sector unions. Hundreds of public employees and union supporters gathered in front of the Supreme Court today, united with one voice, to speak out against this attack. Now is the time to mobilize all public sectors business agents, elected officers, stewards and interested members to approach all non-members, so we can strengthen the union, expand our membership base, and maintain sufficient resources to organize, negotiate for, and effectively represent all Teamsters. Attached is the Teamsters Power Building Program if you have not already received it in the mail. The materials included in this packet should assist local unions in conducting training sessions to educate and train business agents, shop stewards and interested members. Check out this recent article on Friedrichs: How The Supreme Court Could Crush Public-Sector Unions. Jan. 11, 2016 10:55 p.m.
Will Kohler Strike Ignite 3rd Major Labor War? Congratulations to all of you on your overwhelming victory in favor of Teamster representation in the workplace. Enclosed you will find a copy of the Certification of Representative from the County of Orange and a press release from the International Brotherhood of Teamsters. It is imperative that we maintain solidarity through the contract negotiations and stay united until a Collective Bargaining Agreement between Teamsters Local 952 and the County of Orange is executed. The contract ratification requires a secret ballot vote. We will soon be holding informational/ contract proposal meetings at Teamsters Local 952's Union hall. We will also be distributing contract bargaining surveys. Please keep an eye on our website (teamsters952.org) and your bulletin boards for informational contract proposal meeting dates and times. We are working with the County in transitioning trustees on to your enhanced benefits trust fund. We look forward to working with you and your fellow employees in order to get a good contract that is more in line with the value of service that you provide to the County. The service that you provide is a critical function for the community and your Employer. Thank you for your support of the Teamsters Union. If you have any questions please feel free to contact your Business Representative Norma Lopez at 714-740-6246 and/or Organizer Bobby Block at 951-310-9540.
for representation by Teamsters Local 952! We would like to thank everyone that volunteered their work in this campaign as well as the Orange County employees that supported this election. For more information contact Business Representative Norma Lopez at (714) 740-6246 and/or Bobby Block at (951) 310-9540. Con-way Freight, Inc. violated the rights of workers who were trying to form their union with the Teamsters and must re-hire two workers it unlawfully fired during the organizing campaign, among other remedies, an administrative law judge with the National Labor Relations Board (NLRB) has ruled. “By instructing employees not to wear union insignia, threatening employees for supporting the Union, filing criminal charges against an employee, suspending employees, and terminating employees because they supported the Union, the Respondent has engaged in unfair labor practices…,” Administrative Judge Eleanor Laws wrote in her decision. The workers at Con-way’s Los Angeles terminal were trying to join Local 63. The company must cease its illegal activities, reinstate the two fired workers and pay them back wages and benefits, and take other steps. To Read the Decision, Click Here.